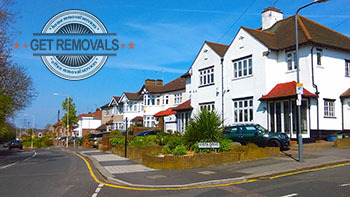 Home removals are surely something no one is particularly looking forward to, but if done properly they might turn out to be a real life-changer. Either way, once the job is completed, the boxes are unpacked and you are ready to start your new life at your new address, it might be a good idea to celebrate with a good housewarming party. It would be a nice way to distress from the removal, but in any case it might turn out to be just another good reason to gather friends and loved ones at one place, which is great in its own right, isn’t it? Remember that your housewarming party is going to be something like the christening of your new house, e.g. the thing that will turn the mere property into a home. That is why you should try to unpack as much as possible before the actual event, or if this is possible – to get everything out of the boxes before the gathering. This serves a practical purpose too – you will have everything you might possibly need at handy, and there would be enough space for your guests. If you are moving during the summer, or the weather outside is good – and of course, provided that your new property has an outdoor space, you might consider gathering your guests outside. Thus you will not have to worry about the mess that is going to be created, and you can create a really magical atmosphere everyone is going to enjoy. But, most importantly, you will not have to worry about cleaning too much – you have had your fair share of stress already, right? Send invitations, or directly call the people who you want to be present between three days and a week before the housewarming party. We are talking about a casual event here, so you may spare the handwritten cards etc., a simple phone call or an instant message would be more than enough. Do not invite too many people. At a housewarming party it is best to keep the guest list to your closest friends and family. Leave that colleague you have spoken two times to in the past year for some other occasion, for example your upcoming big birthday bash. The three main things that you are going to need are snacks that are easy to prepare and eat, some fresh flowers for decorative purposes and probably a few scented candles to add up to the general atmosphere. Everyone will feel comfortable this way, you the most, and you will definitely be able to feel at home. Don’t forget that it is a housewarming party – show off your new place and discuss your plans about what you are going to do with it with your guests. They will be interested to hear about it, and you might even get some useful ideas, and why not – a proposal for help.